Want to know what snacks to eat at Walt Disney World Resort? 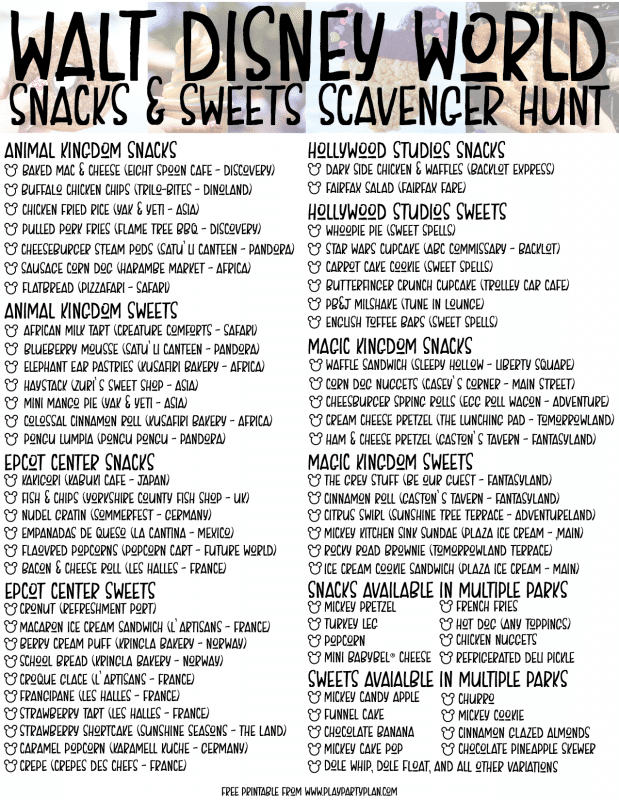 Print out this free snacks and sweets scavenger hunt to take along with you when you go and never miss out on any of the great Walt Disney World Resort snacks! 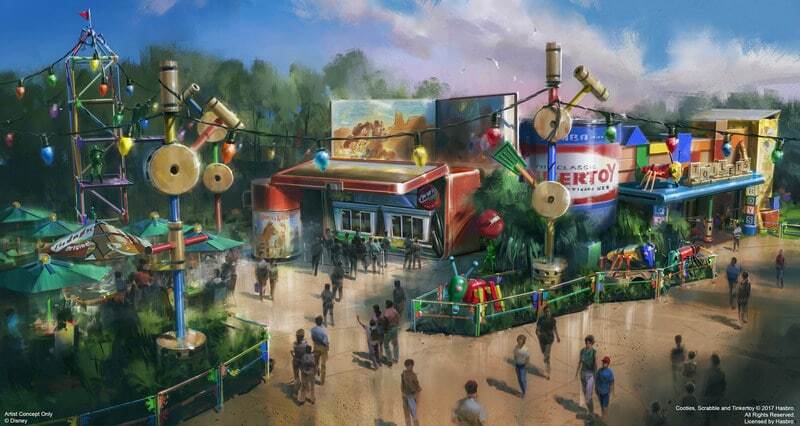 And make sure to grab a Mini Babybel® from the brand new quick-serve window, Woody’s Lunch Box coming to Hollywood Studio’s Toy Story Land in 2018! If you didn’t know already, I’m a bit obsessed with Disney. Walt Disney World Resort, Disney Cruise Line, Disney movies, and after my visit in October, now Disneyland Resort. I even just booked a trip in January for my family to go to Disneyland for the very first time. So in the space of less than a month in 2018, my family will be going to Disneyland Resort, to Walt Disney World Resort, and on a Disney Cruise Line cruise. Okay, it might be becoming a bit of addiction but when you have an annual pass, it needs to be used. A lot. One of my favorite things about Disney is the food. 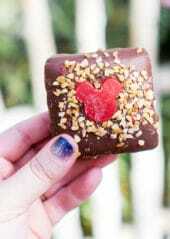 Give me all the Mickey shaped food. And all the Dole Whip. 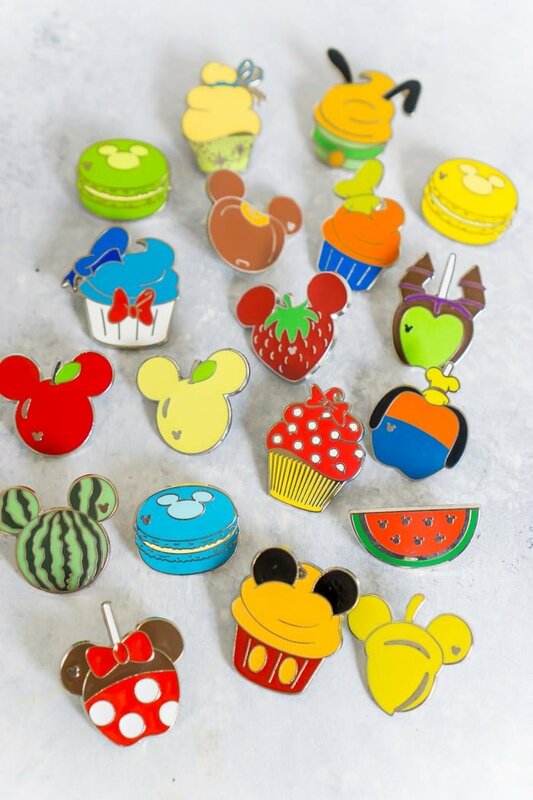 I even have a collection of Disney food pins. It’s kind of the only thing I really collect, everything else in our Disney pin collection is kind of a mashup of everything my son thinks is cute. 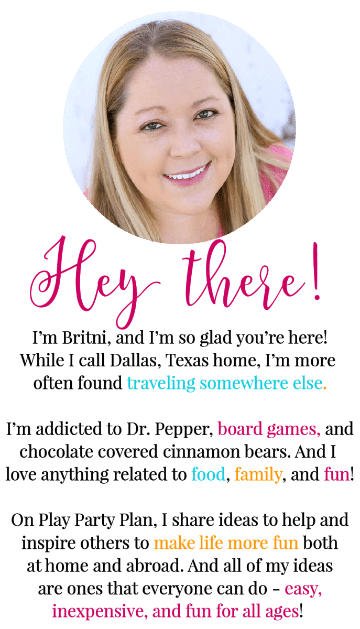 So why am I rambling on about Disney food? 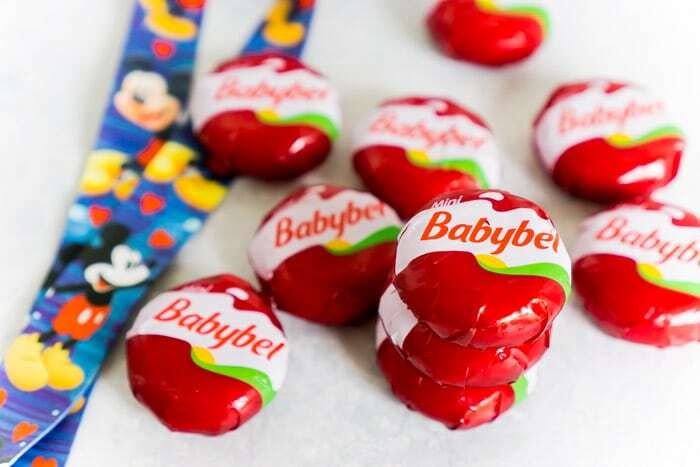 Because Disney just announced last month that Mini Babybel has been named the official snack cheese for Walt Disney World Resort, Disneyland Resort, and Disney Cruise Line. 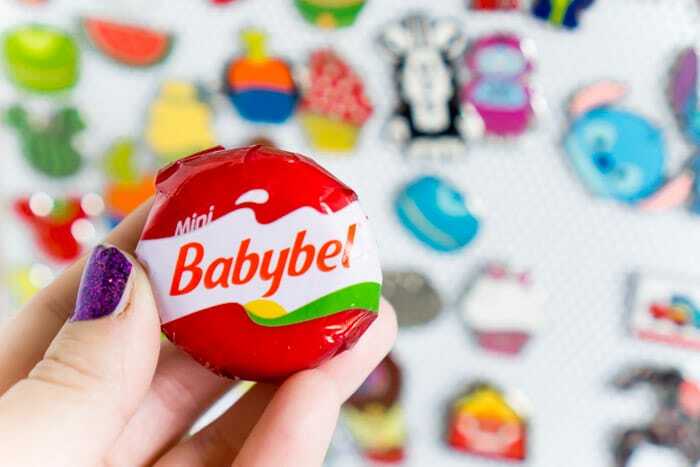 I’ve been a huge fan of Mini Babybel forever, and now it’s going to be available in the parks to eat with all of my other favorite Disney goodies! 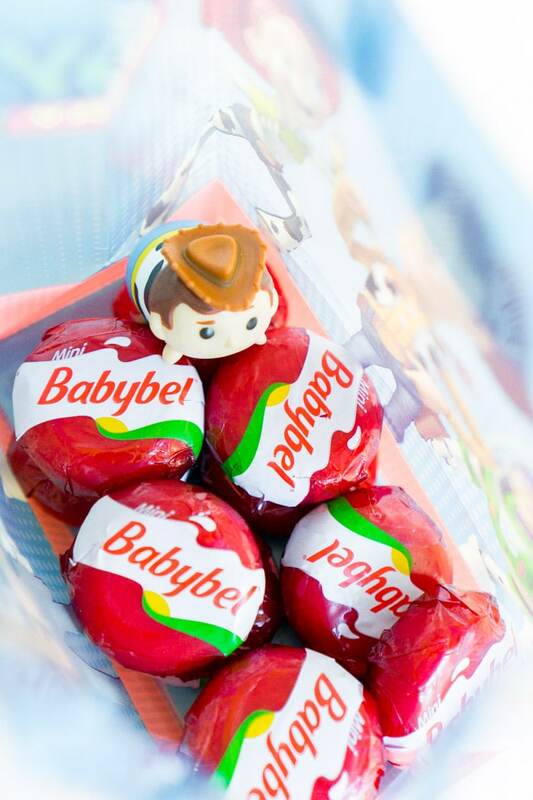 If you’re not familiar with Mini Babybel by name – it’s the creamy, red-wax covered 100% real cheese that families love. The fun one where you get to pull the little tab on the wax to reveal the cheese inside – that’s pretty much my son’s favorite part! While I think the pull tab is fun, I love it because Mini Babybel is also a good source of both calcium and protein, has 70 calories or less per round, and it is totally portable! I can’t do a lot of milk or ice cream, so I’ll take all the calcium I can get, especially on days I’m walking around the park stuffing my face with funnel cake and corn dog nuggets! It’s also great to add to lunch or a snack on the go, adding a good for you source of calcium and protein that the entire family will love. With all the not so good snack options that are readily available, I love this addition of a good for you choice! Even my son loves them and will eat them, which is unheard of around here! While all of the details of the partnership are not announced yet, two things are known for sure – Mini Babybel will available beginning in January 2018, and it will definitely be on the menu at a brand new quick serve window in Hollywood Studio’s Toy Story Land called Woody’s Lunch Box, as well as in other various locations throughout the parks. Here’s a sneak peek at what Woody’s Lunch Box will look like when it opens in Summer 2018. 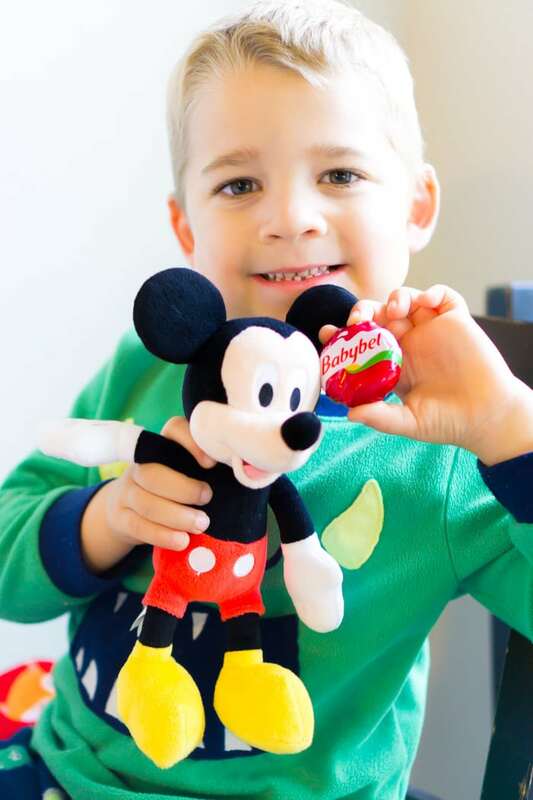 Both Disney and Mini Babybel are known for their fun and playful brands, so I’m sure there will be a lot of fun Mini Babybel Disney adventures to come! I’m already planning my trip for next summer to try out the food at Woody’s Lunch Box and can’t wait to see how they incorporate Mini Babybel cheese on the menu! You can read more about the partnership here. Mini Babybel isn’t the only snack I’m looking forward to trying during our trips to Walt Disney World Resort next year. I feel like every time I talk to someone, they’re telling me something else I need to try. 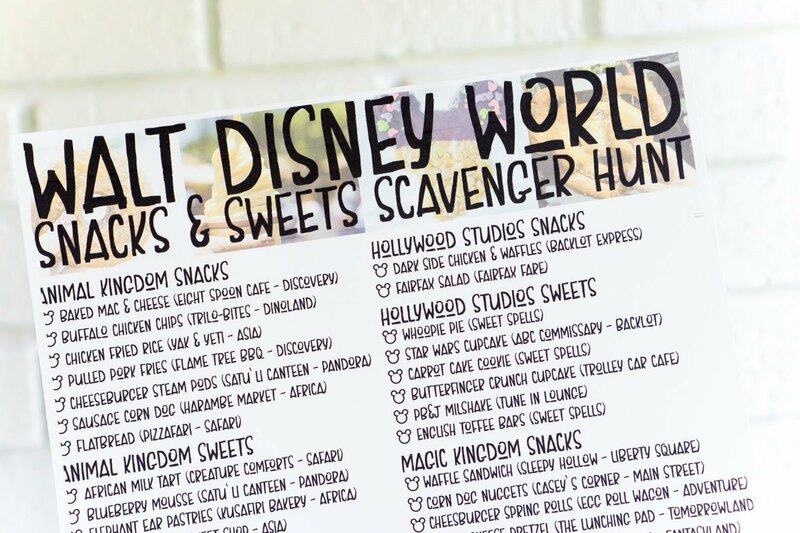 Since I can never remember when I’m actually in the parks what I was supposed to eat, I decided to make a Walt Disney World Resort snacks and sweets scavenger hunt (aka bucket list) for all of the unique and iconic things to try in the Walt Disney World Resort parks. This list took me way longer than I originally thought it would because holy cow, there are some amazing options across all four parks! And that doesn’t even include all of the Disney character breakfast options! I do need to add a little disclaimer – the sweets are things you can grab and go. I didn’t include any of the full desserts like the toffee cake or bread pudding because sit down desserts deserve their own category altogether! This list is not for the faint of heart nor is it meant to be completed all in one day or honestly even one visit to Walt Disney World Resort. Unless of course you’re like me and planning an eat all the things trip to Walt Disney World Resort in the near future where you really are going just to eat the food. 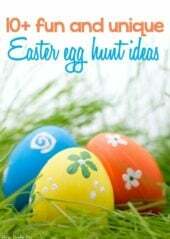 Bring your entire family or a handful of girlfriends and maybe, just maybe you could make it through the entire list! Otherwise, do what I’m planning to do. 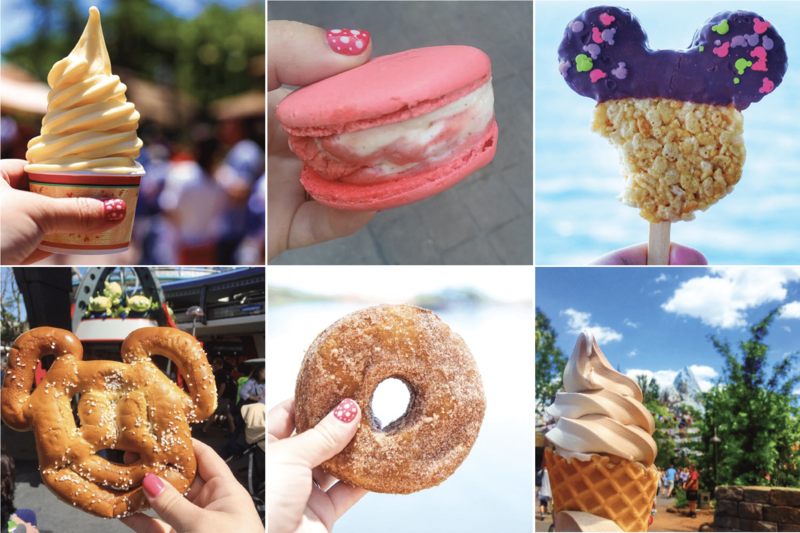 Print out this printable snack and sweets list and use it as a guide for things you must-try at some point during your visits to Walt Disney World Resort. Cross them off as you go and do your best to try everything on this list at some point. WoW!! Cant wait to use this!! Cant wait to use this!!! 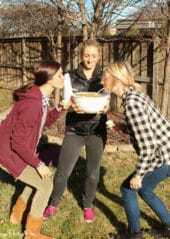 This is the best list I have found so far for snacks. I am so excited to see how many we can try on our upcoming trip! Thanks for making this!!! Just printed this for next week!